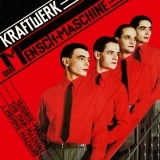 "Hey, if I smile with my teeth, bet you believe me"
Sorry, no matches on eBay for "Die Mensch · Maschine [The Man-Machine] Kraftwerk". Showing latest 5 ratings for this track. | Show all 97 ratings for this track.